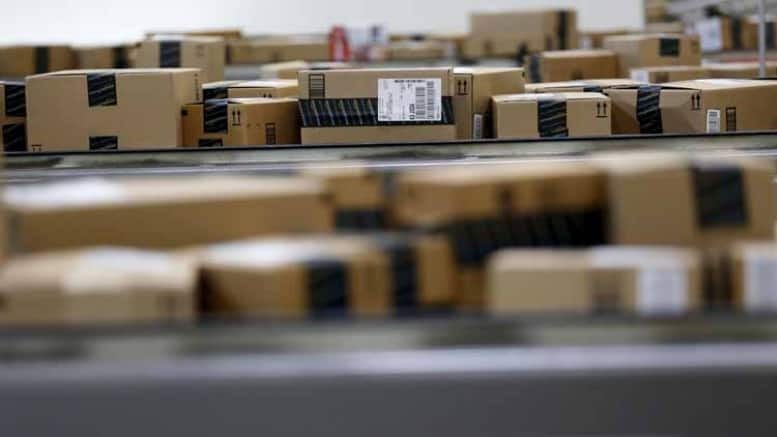 April 12, 2019 — BUFFALO, NY (WIVB) If you’ve noticed any changes in the way an Amazon package was delivered this week, you may not be imagining it. For the past week, the US Postal carriers in Buffalo say they have been delivering about half of the parcels they normally do. That’s because they claim Amazon suddenly decided to use their own private couriers in Western New York instead of the US Postal Service to deliver Amazon parcels. “What we’re trying to do is just let the general public know, ‘hey, you guys are kind of used to getting your packages in your mailbox. Flex drivers aren’t allowed to utilize the mailbox, so your packages might be in a different location,” said David Grosskopf, president of the National Association of Letter Carriers for Buffalo and Western New York. The 1,200 unionized letter carriers in the Buffalo district have been a major carrier of those packages and boast of a 99% on time delivery rate. They want that Amazon business back and because US Postal carriers are the only ones allowed to put anything in your mailbox, if they find an Amazon package in your mailbox this week, they are bringing it back to the post office and returning to sender. “What I’m trying to do here is make the general public aware with the private courier services, please don’t utilize our mailbox. We’re not trying to delay any of Amazon of anybody else items that they’re putting in that box. However, they must understand, there’s laws and rules in place that the carriers have to follow,” said Grosskopf. Why isn’t the USPS enforcing the DM and enforcing the $5 to $10K fines for putting parcels into the mailboxes? Is the USPS so afraid of Amazon to do this? They are paid to deliver it to the door just like UPS and FedEx. By short cutting this rule of thumb they are cutting their delivery cost while taking money out of our pockets. Some at our office in West Chester, Pa also bring them back while others thrown them on the ground (bad move). Every package we bring back cost them more to redeliver. BRING THEM BACK! Yet at our PO we are getting more from Amazon Because they are helping deliver in Buffalo. Amazon delivery is a farce. If they can pay taxes and all the other cost that the PO does not have to pay and still turn a profit. The Post Office needs to hire a cost accountant. UPS Thinks the PO charges to little, The PO claims it bleeds cash. Yet they are terrified Amazon can do it cheaper. Amazon the 3rd world of delivery. Who needs heat or bathrooms tents are fine. FYI: Scared $ Don’t Make $!!! USPS MAILBOXES = USPS DELIVERY ONLY! ANY ? (Just like that egg commercial).